Waffling: I Want to Go Tile Shopping! This weekend my friend and I made plans to go to this giant tile store in the city (discount tile store! woo-hoo!) but it was CLOSED. On a Saturday!! Why on Earth would a tile store not be open on a Saturday? That is like, optimal tile-shopping day in my opinion. And then all the other tile stores were closed by like 5pm and it was already 4pm so we never went tile shopping. Yes, I am terrible at planning tile-shopping trips. Planning a bathroom reno is hard. Way harder than I expected. See, if you gave me 5 choices, I could totally pick out one! But right now I have unlimited bathroom options and I am drowning in choice!! I change my mind every single day. I think if I can pick tiles, perhaps I will gain a vision. I am 100% behind white or light grey tiles for the floor and shower, so then other choices and switcheroos would be super easy. Neutrals for the win! But here are my thinkerings so far and I want you to weigh in! What if I extended the shower tile all the way on this wall behind the toilet? That might be different and fun! Plus then I could always stare and smile at my pretty shower tile. 2. Beadboard or board and batten or wainscoting or something fun like that?? 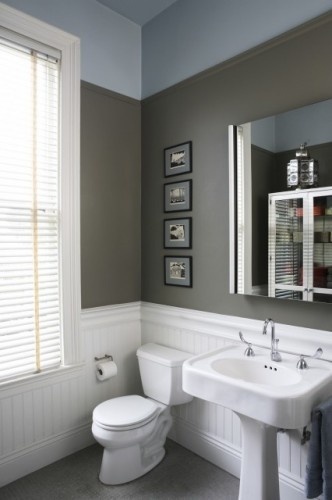 I love this look, but my bathroom is super small and it might not be big enough to bother. Sometimes all I can think of doing is to paint the bathroom some super fun colour, like hot-pink! Because I am a single gal and this may be my only chance to paint a room a super girly colour (of course I would repaint for resale...let's not be silly). But then I start to doubt my idea of getting a dark vanity because I don't know if it would look as good with bright paint as white would. And trust me, when you are comparing the awesomeness of hot pink versus navy and yellow, it would be nice to know that both go with the vanity. 4. Should I replace the medicine cabinet with something larger and offers more storage? Or what about open shelving with pretty baskets? Why do I have so much crap in my bathroom? These are the ideas that keep me up at night. Besides the 600 design decisions I am agonizing over, I am also trying to figure out budget. I can guesstimate the cost of a vanity and tile, as my friend just did a similar reno and she advised me on the awesome deals she scored at the tile store that closes on Saturdays. But I have no clue on contractors. I don't want to tile the shower myself because I have never done tiles and you don't want to screw up where water damage could be involved! 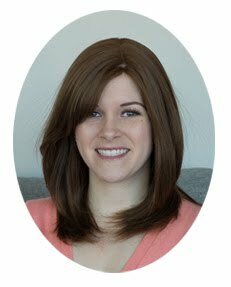 And now that people know I am renovating, contractor friend of friends are coming out of the woodwork and I am wary to working with friends or family because it can be hard to be honest with their work. Oh, but in good reno news, I found out the pool on the 9th floor has a change room and said change room has a shower and a toilet! yay! So I can stay clean during my reno! But hopefully I will have a toilet because I don't know if they lock that room at night. haha. Maybe I should befriend my neighbour? End of story- if I end up with 5 contractors who make me board and batten out of tiles and paint the walls hot pink and navy stripes, you can totally understand. Was said tile store Olympia? The owners are Jewish and observe the Saturday sabbath, hence - closed on Saturdays! And all major Jewish holidays. We learned this when we were tile shopping, never got to Olympia because of it. I like the idea of open storage in the bathroom. Not a huge fan of medicine cabinets, admittedly. Probably due to the horror of living with a bunch of guys during my university days and the scuzziness of the crusted toothpaste, deodorant and shaving cream in the medicine cabinet. 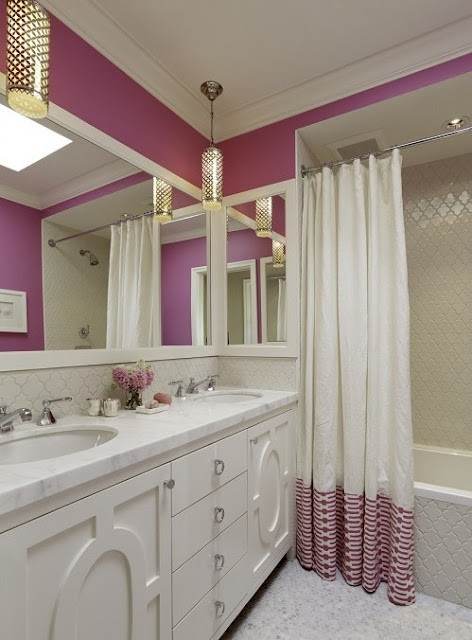 I definitely love the idea of a hot pink bathroom! I think you could make it work with a dark vanity... You could always just go for it and see how it turns out! Yes it was Olympia! That makes sense then. I'm not a fan of extending the tile..i feel like it may make the bathroom look even smaller? but what do i know..i'm the girl who has taken like 3 years to pick a paint colour HAHA.